Celebrate with us the opening of our new Garden Sanctuary. Retreat into a space for growth and exploration. Come as you are, your true self, and dive into a journey weaving Yoga, Cacao, Dance, Art, Oils, Breathwork & Sound. Moving to the rhythm & guidance of our breath, we will flow through a playful, uplifting, spring - inspired fluid vinyasa: Spring is all about transitions, change, release & blossoming. Mother Nature is calling us to tune back into her wisdom & our practice is to listen & come back to the source for inspiration & guidance. Join Alessa Bennaton as she leads you through this exploration. 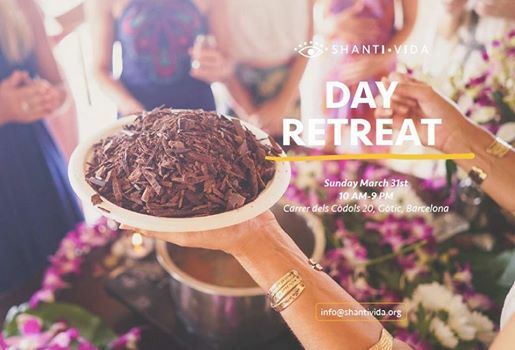 We will be drinking cacao from Guatemala, breathing our intentions and using this powerful plant as our guide as we explore our inner landscapes through the wisdom of the body. 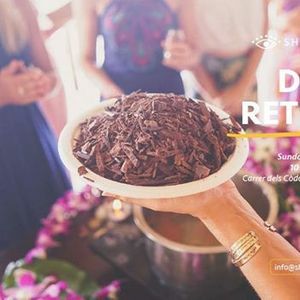 Cacao is a wonderful plant that has been used in ceremony and ritual and revered for thousands of years in South America for its medicinal and aphrodisiacal properties. It is the purest form of chocolate you can consume. The cacao bean contains over 300 active chemical compounds: it is a powerful antioxidant, great source of iron and magnesium and is a natural anti-depressant containing neurotransmitters that stimulate the release of anandamide (the bliss molecule), serotonin and endorphins in the brain. Energetically, it is a 'heart-opener' and encourages us gently into our heartspace to explore our emotions with compassion for ourselves. Breathwork connects you with the innate power of your own breathe, opening the doorway to emotional release, removing blocks long stored in the body and and connecting you with your own inner ecstasy. During your breathwork session, experience your body flooded with fresh oxygen, reawakening, energising and detoxifying the cells and allowing higher wisdom to enter. Breathwork is known for its ability to dissolve barriers to love, bring greater clarity and reveal answers that await within. While the effects are unique for each person and different every session, participants often leave feeling euphoric, peaceful and full of wonder. Make no mistake, this is a journey of Ecstasy. Alessa has more than 14 years of experience in practicing & 8 years of teaching yoga. Her curious nature has led her to study in India, Barcelona, Italy, London, Nicaragua & many places around the globe exploring diverse yoga systems & guides, deeply influencing the unique way she guides her classes. Her deep love for mama Earth is a central focus of her life & her teachings - she teaches mindful, nature – inspired, playful, creative classes that invite everyone to honor their unique needs. For Alessa, the balance of the yang & yin yoga practices is an essential to achieve balance & reconnect to peace & stillness within. Alessa is mostly based in Shanti Vida in Barcelona but moves around Europe & Latin America sharing her joy & appreciation for life & community through her classes, women’s circles, therapies & diverse workshops. 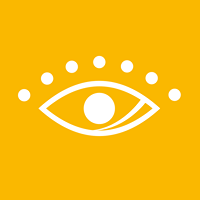 Through years of discovery and exploration, Omotayo has become a firm believer in the power of universal actions such as touch and dance as tools for healing, integration and transformation. As a qualified yoga teacher, masseuse and movement meditation practitioner, she has been educated with a priceless understanding of how to work with beings holistically - body, mind and spirit. She is endlessly fascinated by the wisdom of the body - and her workshops and ceremonies are aimed at gently guiding people out of their head, into their hearts and into their own unique way of flowing with life. The goal of all her work is to create a space that allows anyone to feel safe, seen and heard in the fullness of who they are without judgement. Whether through a cacao ceremony, astrology reading or through gently guided intuitive dance, she aims to encourage everyone into a deeper relationship with their own inner landscape, the present moment and their lives as a whole. Trained as a Breath of Bliss Practitioner, Annabel's approach is rooted in a deep passion for care and creating the most nurturing of environments for your journey to unfold. Each session completes with grounded integration. As a trained psychotherapist, Annabel holds a safe therapeutic space to allow for the full spectrum of human emotion to be felt, expressed and released. She is a holistic therapist, working to balance the mind and heart and to create deeper connection to oneself, others and the world around us. Claudia started drawing before she started walking. She grabbed a brush for the first time at 6 years old, and she hasn’t put them down since then. Claudia studied Fine Arts in Valencia, her hometown. Now she lives in Barcelona, where she has studied a Master of Research in Art and Design. Shanti Vida is an opportunity for Claudia to share her energy and joy through her art. Claudia wants to create an unforgettable experience of awakening for all of those who join us. Food is important to Courtney from Into the Wild Spaces. The team understands food to be the common ground and universal experience in which we seek and find a connection. Courtney and her team have worked with teachers of varying disciplines from all over the world and is enabling students to feel refreshed, nourished and inspired. Great care is taken in nourishing our bodies along with our hearts and minds and the team at into the wild spaces pride themselves in offering the most delicious, wholesome food. Focusing on sourcing local and organic produce, they don’t use sugar at all and like to keep the menu predominantly wheat-free. Their menus are tailor-made to each individual retreat and they are happy to cater for those with specific dietary requirements. Every experience is unique and they offer a wide range of flavors, colors, textures, and nutrients, to truly awaken all of the senses.